At thirty years with his first film as director, Nicaraguan Gabriel Serra never imagined he would come so quickly to the top, to be nominated for the Oscar awards, and that is why we live the night of the gala without expectations, enjoying the surprises that life is giving. "I'd rather surprised me better life and not have many expectations," he told Efe in an interview, hours after learning that his first film, "La Parka", will compete in the category of best documentary short of the most prestigious awards cinema. Why not imagine what will be the night of February 22 at the Dolby Theatre in Los Angeles (USA). "No me what I can imagine," says between giggles, as he sees himself in delivery, with his face on television in one of the boxes nominees awaiting the verdict. "I'll be there, will be a very good thing for me professionally and to meet people who can support me or invite me for new projects," added the young Nicaraguan who came to Mexico to study film at the Film Training Center belonging to the National Arts Centre. 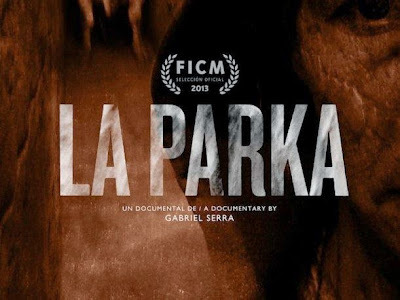 And is that what began as a job for a workshop of his master, the short film "La Parka", became a traveling band, which has covered a total of 33 international festivals, collecting several awards.